Tim and Frank look back at their all-time favorite comic book writers who have written for the Man of Steel himself: Superman. Cheers! Frank and Tim are joined by Palmer from Academy Rewind for a little fan casting game: if it were the 90s, who would play the Justice League AND the Avengers? Cheers! Tim and Frank play a brewery-based card game known as "Thinking and Drinking" and it leads to some interesting conversations, plus an appearance from everyone's favorite angry cartoon duck. Cheers! Book club! Tim and Frank have been reading a number of books about the comics industry, and they're hear to share their recommendations, plus what they've learned. 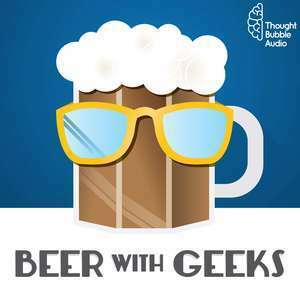 Tim and Frank have seen Marvel's 'Ant-Man And The Wasp' and they share their thoughts over a couple of beers. Cheers! Tim and Frank tackle that third rail of a topic: what works, and what doesn't work in the DCEU? Cheers! Episode 212: BWG Presents Academy Rewind! Move over, Frank! It is time for Academy Rewind! Palmer and Tim are in the hot seat talking 1998 nominees L.A. Confidential, Good Will Hunting, Titanic, The Full Monty, and As Good as It Gets. Frank and Tim cast the ultimate Fantastic Four movie. Some of their casting choices might surprise you. Cheers!